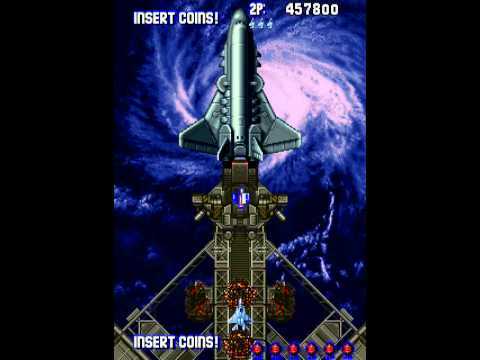 OverviewAero Fighters is a vertical-scrolling shooter. The player gets to pick which nation he wants to fight as and then proceeds to fight an onslaught of enemies and bosses. 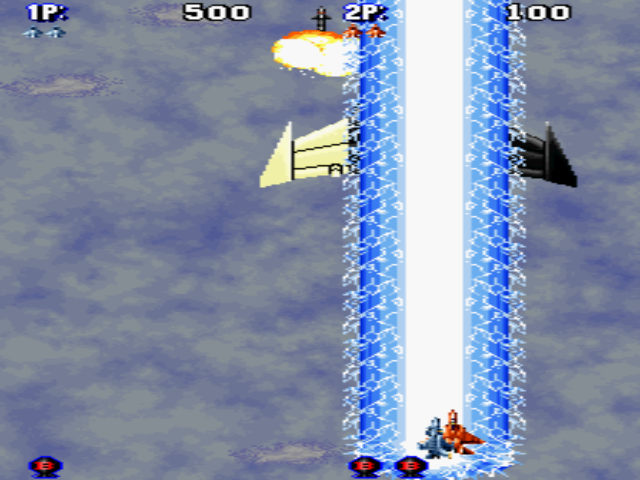 A vertical scrolling shooter for 1 or 2 players. Controls are directional and 2 buttons. Button 1 fires your main weapon and button 2 fires your special. You choose from one of four nation's aircraft: US, Japan, Sweden or UK. Once chosen you embark on various missions. There is some variation in missions depending on what nation you choose as well as variation on intralevel text. 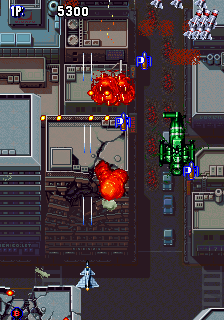 During the mission you shoot various baddies and at the end of the level you fight a boss. Power-ups are available during the mission and these either recharge your special weapon or upgrade your main weapon. All main weapon upgrades are lost on death and your special is restored to the default number of uses. When playing as player 2 you get a different plane type. 2 player mode is co-operative. All in all a fairly regular vertical scroller. It is as fun as they usually are and to its credit it is very clear what is happening, unlike many of its type. Ultimately though, it is nothing special, nor is it as big a challenge as some of this genre. Now you can add videos, screenshots, or other images (cover scans, disc scans, etc.) 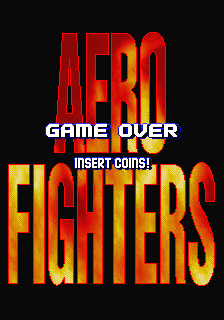 for Aero Fighters (bootleg set 2) to Emuparadise. Do it now! If you haven't noticed yet, we have a retro game of the day feature (top-right of the screen) wherein we feature a new retro title every single day! Now, you can vote for your favorite games and allow them to have their moment of glory. 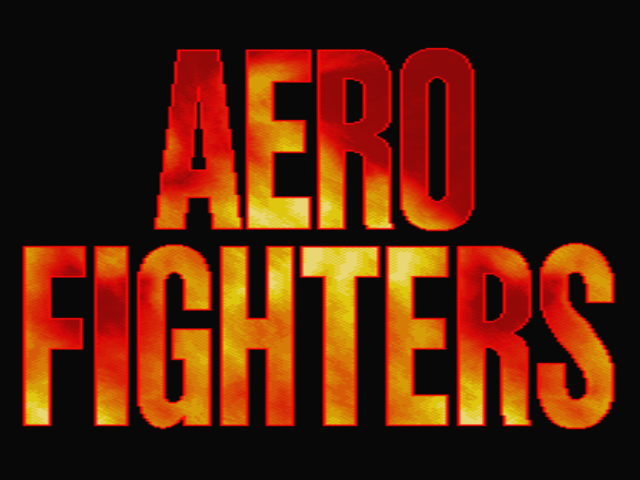 Click on the button below to nominate Aero Fighters (bootleg set 2) for Retro Game of the Day.